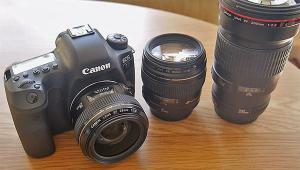 The Canon EOS Rebel T6 is an entry level SLR system with an 18MP sensor. It offers helpful features for beginners (scene modes; auto picture style modes) and some handy new features like a Wi-Fi system. 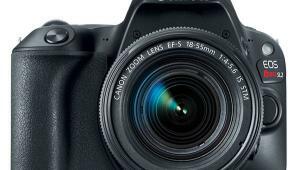 The new Canon EOS Rebel T6 is the successor to the EOS T5, which was introduced two years ago. 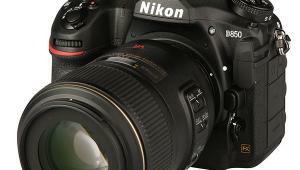 Just like its predecessor, the new DSLR is an APS-C system with an 18MP sensor. The new camera has a slightly modified image processor (“Digic 4+” instead of “Digic 4”) and shows some differences in its feature list. The Canon Rebel T6 still uses a 3-inch LCD screen on the back, but this screen now offers 920,000 RGB dots instead of 460,000. However, despite the doubling of dots this LCD resolution isn't that impressive anymore, given what is currently on the market. Also, the screen doesn't offer a hinge or swivel point so it is fixed and can't be moved. The new Canon has a built-in flash system and an accessory shoe which can be used for Canon Speedlite flash systems. 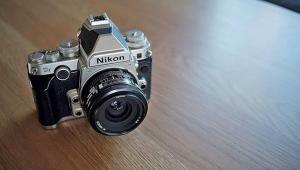 It supports E-TTL II metering. A mode dial on the right hand side offers standard exposure modes, scene modes and a video recording mode. The LCD screen on the back is fixed. 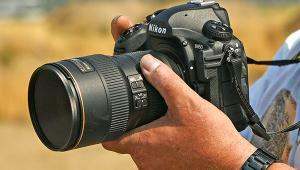 The Canon offers a “Q” button for a quick menu for important image parameters. For menu navigation the camera offers a control field with 4 direction keys. The new Canon is a light weight and compact SLR system. The body is built of carbon fiber and fiberglass reinforced plastic. On the left hand side of the Canon Rebel T6, the photographer will find standard interfaces like USB 2.0, HDMI and a Canon interface for wired remote control systems. In addition, a smart phone can be used as remote control (via Wi-Fi). The rounded off camera body is lightweight and quite small. Nevertheless, it is well balanced and the small grip on its right hand side is very handy – at least for photographers with normal sized hands. 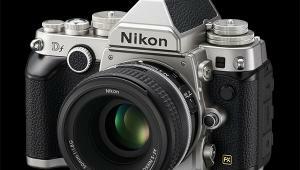 The T6 has a mode dial on the top that offers standard exposure settings. Custom defined modes are missing, but the mode dial offers scene modes, which will help beginners. In addition, it has a movie mode for recording video (manual exposure settings in video mode have to be activated in the movie record menu). 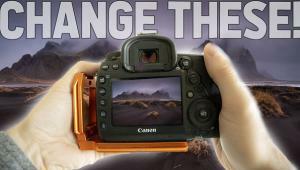 The camera offers only one setup dial (directly beneath the shutter release button). In manual mode this dial will change shutter speed. 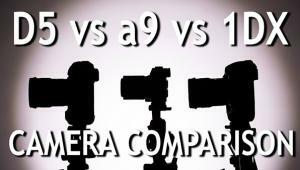 To change aperture size the photographer has to press the “AV +/-” button on the back and to use the dial again. The setup dial is also helpful for menu navigation. It helps to toggle between the menu tabs. The Canon EOS Rebel T6 has a 4-way control field on back for menu navigation: the four buttons are also used as shortcut buttons to setup ISO speed, white balance, AF mode and to toggle between single shot, continuous shooting mode or self-timer activation. A “Q” button on the back starts a quick menu to change additional image parameters like Raw or JPEG recording, image style setup, and exposure metering patterns, including Evaluative, Partial and Center-weighted averaging. 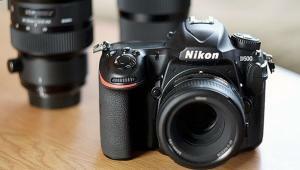 The camera offers a card slot for SD/SDHC/SDXC cards as storage medium for images and videos. The card slot is located at the bottom side (just like the slot for the rechargeable battery). This is a little unhandy when working with a tripod, because the camera has to be dismounted to get access to the card. As a real entry level camera the EOS T6 offers an AF system with only 9 AF sensors. AF areas can be selected manually with the AF-sensor button on the back of the camera and the 4 direction keys of the control field. 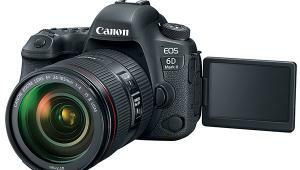 The AF system is fast, but doesn't offer the speed and accuracy of modern AF systems, such as that found in the recently reviewed Canon EOS 80D. We found that when using the continuous shooting mode (with up to 3 frames per second) the AF system can't really track moving objects. The AF system doesn't even keep up with this low speed “burst” mode. The Canon EOS Rebel T6 offers Wi-Fi functionality and establishing a connection to a smartphone or tablet is easy because in offers an NFC system. Canon offers the free app “Canon Camera Connect” for Android and iOS system. This app offers remote control of the T6 (with live preview on the screen of the smartphone) and includes manual setup of exposure settings or AF area. The Canon EOS Rebel T6 reproduced the background of the standard test box with a slightly cooler touch. Red colors are boosted, but all other colors have a well saturated and realistic look. Color: The images of the Canon EOS Rebel T6 show natural looking, slightly oversaturated colors. When taking pictures of our color test chart the automatic white balance system tended to create more bluish or “cooler” darker colors, while the brighter neutral color patterns were reproduced exactly. Some red colors are a little oversaturated, but all other colors show only minor aberrations to their given values. Skin tone reproduction by the T6 is nearly perfect. 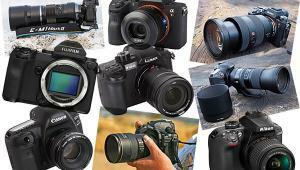 Sharpness: The Canon EOS Rebel T6 performed well in our resolution tests. All technical tests were done with the Canon EF 17-40mm f/4L USM: we did this because the “kit” lens, the Canon EF-S 18-55mm f/3.5-5.6 IS II showed very intense chromatic aberrations on hard contrast lines in our initial test images. With the older “L”-lens the camera reproduced the ISO 12233 test chart with 3137 of 3456 lines per picture height, which is a very good result. The very good result is also an affected by the intense sharpness filtering done by the DIGIC 4+ processor, detected by the ImaTest software. It showed a clipping warning in its results because the black and white differences of the contrast lines are artificially exaggerated. Note: The tests where done in default “Picture Style” settings. Just like the new EOS 80D, the T6 offers an “Auto” mode as default instead of “Standard” mode, which may cause different sharpness setting when the image processor detects scenes with very hard black and white contrast lines. The red color of the model's clothing is oversaturated, but still highly differentiated. The skin tone reproduction is very good. The automatic white balance system did a very good job. Noise: The Canon EOS Rebel T6 showed a good performance in our noise tests. Luminance noise starts on a slightly high level at ISO 100 mode but keeps under 1.0 percent up to the ISO 6400 setting. The camera offers an additional high mode (which has to be activated in its “Custom Functions”) with an equivalent of ISO 12,800. Color noise gets visible in images taken with ISO 1600 but is still on a very acceptable level in ISO 6400 mode. 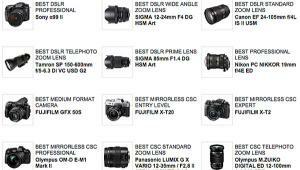 We feel that the additional ISO 12,800 mode is useful and will provide acceptable results. The dynamic range results are good: The camera captures images with a maximum of 10.4 f-stops and keeps a level of about 10 f-stops up to ISO 1600 mode. 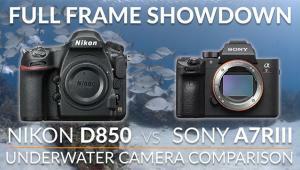 At ISO 3200 and 6400 the dynamic range will drop drastically (as well as color saturation). The still images of the Canon EOS Rebel T6 show natural looking, slightly oversaturated colors. When taking pictures of our color test chart the automatic white balance system tended to create more bluish or “cooler” darker colors, while the brighter neutral color patterns were reproduced exactly. Similar color results were shown in video mode. The new entry level Canon EOS Rebel T6 offers Full HD video capabilities. It allows users to record movies with 1920 x 1080 pixels at a maximum of 30/25 frames per second (depending on chosen video mode for PAL and NTSC systems). By reducing video resolution the camera is able to record videos with higher frame rates. It records 720p videos with up to 50/60 frames per second. In addition it is able to record in Blu-ray compatible mode with 24 frames per second. The camera uses H.264 compression technology stored as MOV files. This allows users to present and edit video clips with all current editing software or media players on every Windows and OS X system. The camera is able to work in “snapshot” mode. In this mode it will take video sequences with 1, 2, 4 or 8 second intervals and merge/join these clips into a single movie file. When the lens system offers an optical image stabilizer the T6 supports it for video recording. It doesn't offer in-body electronic image stabilization. 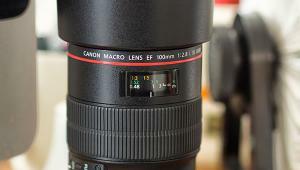 For automatic focusing the new Canon offers different modes. In “FlexiZone” mode it will use contrast metering and allows manual setup of the desired AF area. Nearly the whole image area can be used to place the desired AF area. When working in “Quick mode” the camera will first show a live preview of the scene. 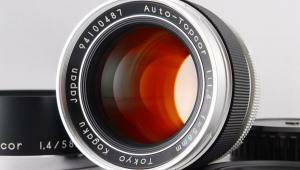 When the user presses the shutter button halfway down the camera will flip the mirror system down, will setup the focus by using its photo AF sensor (phase detection). After setting up the focus it will flip up the mirror automatically and switch back into live preview mode to start recording. The Canon offers two exposure modes. It can work in P mode and offers an “M” setting which allows the user to set up aperture size, shutter speed and ISO speed manually (up to ISO 6400: the additional high mode isn't available when recording video). 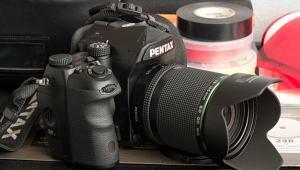 Aperture priority or shutter speed priority modes are missing. Both exposure modes have to be selected in the menu while the mode dial of the camera is set to “Video recording”. To start video recording, the user has to press the “Live preview” button right beside the optical viewfinder (standard on Canon cameras). The camera allows the user to set up audio level manually or to disable audio recording. It doesn't offer a microphone or earphone interface. 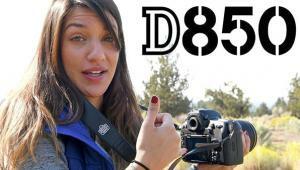 The Canon EOS Rebel T6 was disappointing in our video resolution test. The ISO 12233 chart was reproduced with only 645 of 1080 lines per picture height. Even though the camera uses sharpness filtering the video files look soft. This is noticeable in our field shots and the test chart. Even though the resolution and sharpness is very low, the camera also tends to visible Moiré effects. Color reproduction in video mode is very good. The automatic white balance system created very neutral images. Skin tones are reproduced very exactly and only red nuances are a bit boosted - just like in photo mode. The Canon Rebel T6 has a list price of $549 (with the 18-55mm f/3.5-5.6 IS II kit lens). For more information, visit Canon USA. It's impossible not to feel for the damaged beauty of what was once a very lovely and sweet looking girl. Look at what our mainstream corporate media oligarchs have done to us... They look at women like this and cackle with sadistic delight. Sick. This girl is beautiful. You, by your comments, display "ugly."